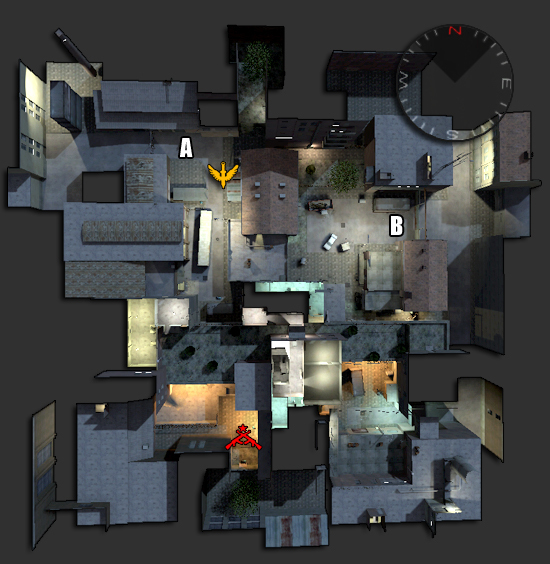 Delta is a medium sized map played at night with well lit indoor areas. The outside areas have many dark corners - perfect for surprising your enemies. Terror must destroy either objective (A or B). Spec Ops must defend both. Spec Ops begin outdoors next to objective A.
Terror begins outdoors and are of almost equal distance from both bombsites. The windows of the apartment building facing bombsite B, and the boiler room underneath, are common areas for fire fights. The other side of the map is for terrorists to attack having a chokepoint where the specops can suppress the terrorists in a narrow doorway. Northport is a medium sized, indoor/outdoor map with nice details and great background sound effects. It's a map designed for fast gameplay. Featuring several chokepoints, it requires proper use of smoke, flashbangs and good covering fire for sucessful mission completion. A well balanced map, it does require good communication for Spec Ops to sucessfully defend both objectives. Spec Ops begin outdoors near objective B. Don't let the proximity of objective A fool you, it's not hard for the bomb carrier to sneak around to objective B if it is not properly defended. 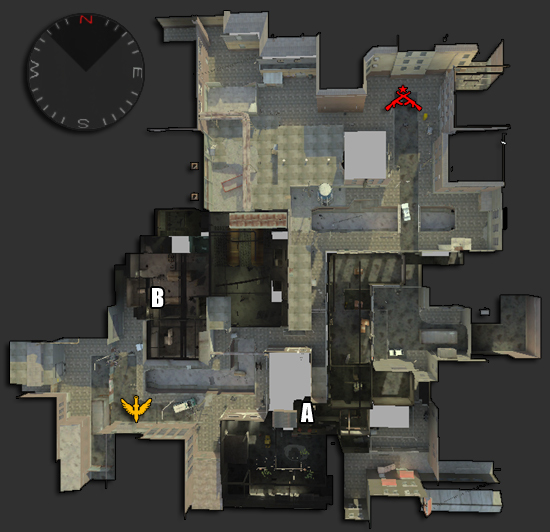 Railhouse is a well built, moderate sized map taking place in and around a train yard. You will find train cars, and everything that supports them; offices, warehouses, loading docks and various maintainance facilties. Many areas here are multi-level, with a rather large brick bridge going over the main track area. A few nice sniper spots exist on the second stories as well. Objective A is somewhat concealed inside of an open train car in the loading dock area. Objective B sits in a partially fenced area, outdoors near Spec Ops deployment point. Spec Ops begin outdoors, near objective B. Both teams are at nearly equal distance from objective A. Quite a fun map to play, with several viable routes. Terror usually seems to go for objective A, although by attacking this point heavliy, it's easy for a lone bomb carrier to sneak around, grenade objective B and plant the explosives. Care should be taken in defending both. The rather central warehouse full of crates is a common area for fire fight to errupt, as is either end of the bridge. Care should be taken in these areas. Snow seems like a small map until you explore the back route. In reality, it is a medium sized winter map with nice snow particals and sound effects. 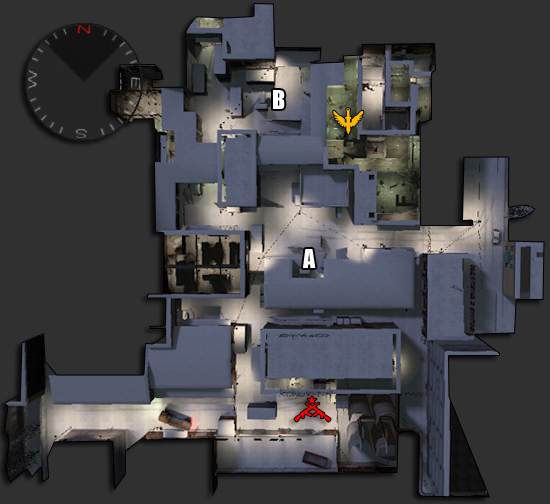 This map has several good locations for snipers, as well as several challenging chokepoints. Spec Ops needs to be fast to defend objective Point A, but they cannot forget about Objective B as it is accessible to the terrorists from both the front, and right through the rear of Spec Ops deployment area. Spec Ops begin indoors, in the basement near objective B.
Terror begins outdoors closer to objective A. Many Quake III True Combat players will recognize this map in an instant as the Old Deadly Xmas. Be wary, several routes have changed. This maps slightly favors Terror, Spec Ops needs to hussle as to not get pinned down at the "Death Alley" arch. If they do, there is almost no way to stop terror from destroying objective A. Flanking and exploiting the back routes are the answers. Stadtrand is a relatively large map with a large two-story logistics building and a factory building. The map is split by a canal that goes under the factory building. 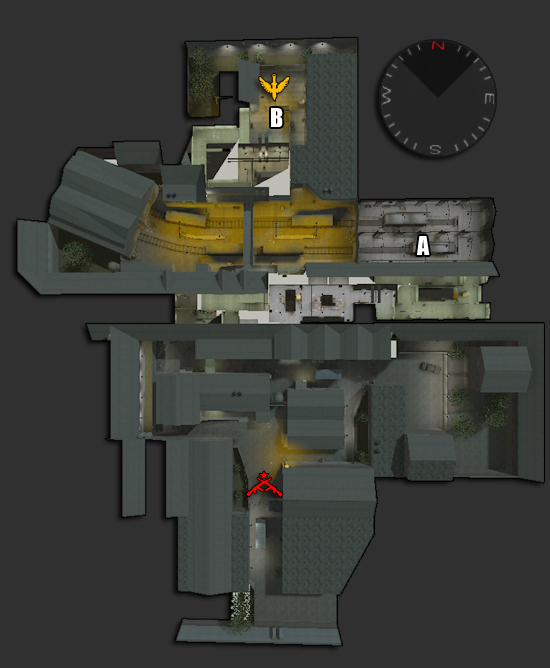 Both teams have fast access to the canal from their spawns in the opposite corners of the map. The alley separating the two buildings, the boiler room in the factory building and the warehouse in the logistics building, are common areas for firefights to take place. Spec Ops begin outdoors close to objective B. If you manage to overpower your enemy in the canal, you may be able to surprise the other team by attacking them from behind. Village is a good sized map featuring the possibilites of both indoor and outdoor combat. There is a rats nest of interconnected wooden buildings, several underground passages, and a ruined bombed-out warehouse. Along with several nice touches such as a concrete drainage culvert and plants and some grass for conceilment. 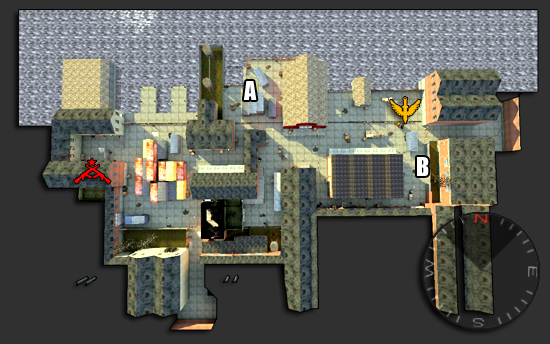 Objective A is on the second floor of the ruined warehouse. Objective B is nestled back in a corner near Spec Ops spawn. 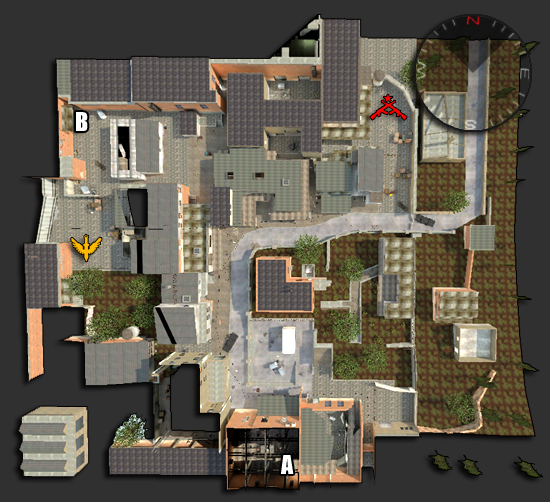 Nicely balanced map, Spec Ops cannot forget about either objective, both are rather accessible to the terrorists. It is quite easy for the terrorists to defend the bomb planted at objective A once they occupy the second floor.